As Martin Luther King, Jr. Day and Black History Month approach, Wake Forest’s President Nathan O. Hatch announced two important upcoming speaker events that will commemorate the legacy of Martin Luther King Jr. and will inspire the Wake Forest community to attain leadership roles that can be utilized to enact positive change in the world. CNN political commentator Angela Rye will be the keynote speaker for the Martin Luther King Jr. Day events. She will deliver an address focusing on the theme of “On Common Ground: Embracing Our Voices” on Monday, Jan. 21 at 7 p.m. The event will be held in Winston Salem State University’s K.R. Williams Auditorium. In fact, Rye’s keynote speech will mirror the sentiments that Martin Luther King Jr. expressed in 1962 to the Wake Forest community. Delivering his address to the inspired audience gathered in Wait Chapel, he used the phrase “free at last, free at last, thank God almighty, we are free at last” to elucidate support for racial equality. One year later in Washington D.C., he would reaffirm this during his memorable “I Have a Dream” speech. This illustrates the importance of listening to the perspective of Rye, an African-American woman who has overcome social barriers in order to ascend to a leadership role at the forefront of the national political conversation. 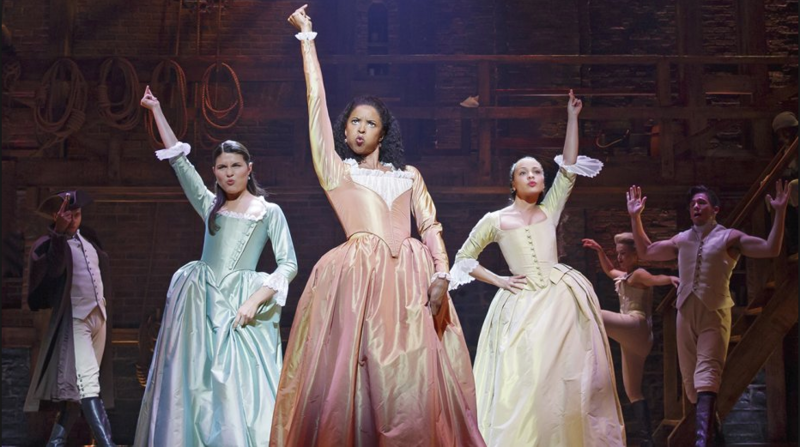 In addition to Rye’s keynote address, another prominent and innovative African-American woman who has earned numerous accolades in the realm of theatre for her performance in “Hamilton,” Renée Elise Goldsberry, will deliver a keynote speech to the Wake Forest community about her perspective on leadership and the arts on Friday, Feb. 1 at 6 p.m. in Wait Chapel. Goldsberry’s address will not only mark the beginning of Black History Month, but also the commencement of the international conference, “The Arts of Leading: Perspectives from the Humanities and Liberal Arts,” that will continue through Feb. 2 and 3 in the Porter Byrum Welcome Center. The conference on “The Arts of Leading: Perspectives from the Humanities and Liberal Arts” originated from the collaborative efforts of Wake Forest and the Oxford Character Project and will focus on an interdisciplinary approach to leadership. The conference will achieve these goals through the inclusion of speeches given by leading scholars from diverse academic interests including arts, literature, classics, philosophy and history, as well as interactive workshops that illustrate how to practice leadership in areas including music, theatre, dance, hip-hop, poetry and visual arts. Reflecting upon the goals and the format of the conference, Lamb attested to the value of Goldsberry as the keynote speaker for “The Arts of Leading” conference. Furthermore, the presence of both these women on campus attests to the legacy of Dr. Martin Luther King Jr. and celebrates Black History Month, as they challenge normative ideas of the appearance of leaders and inspire the nation and the Wake Forest community to strive toward leadership roles despite the existence of adverse conditions. “It is important to host speakers like Goldsberry to not only educate our community on the values of theatre, but also to normalize minority women working and being successful in the entertainment industry,” junior Eliza Drake said.